Wow, so as I’m about to hit the publish button here, I’ve just noticed that this is the 1,000th article on Brendan’s Adventures. Can you believe that?! Over the years, this site has evolved from strictly travel stories, to a classic travel blog, to it’s current format of being a travel photography blog well at the same time focusing on general travel as well. It really does seem like 1,000 posts ago since I wrote the first ever article “The Journey and the Man” here. There’s been a lot of time and typing put into this blog over that time. Anyways, on to the article. 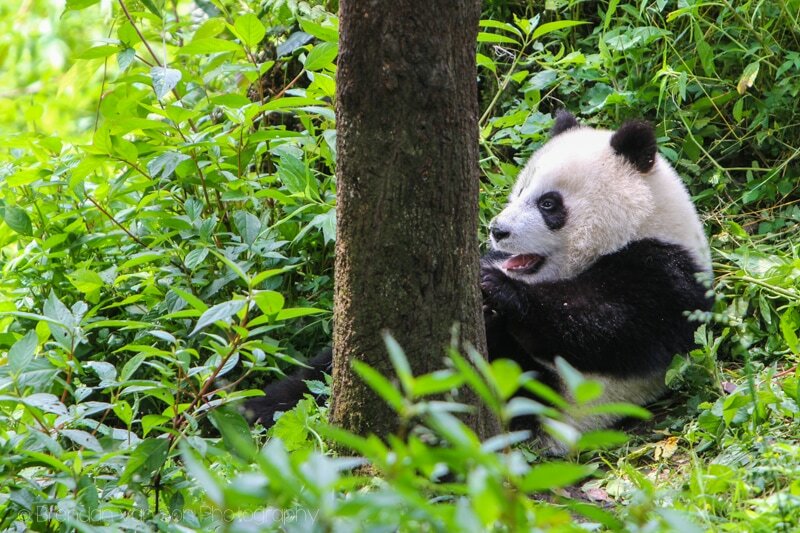 I went off and visited yet another panda sanctuary in Sichuan Province this week. This one was about 2 hours outside of Chengdu near the town of Ya’an, China. The sanctuary itself is called Bifengxia, and is a fairly significant change to the Panada Center in Chengdu itself. For one, there was basically no one there which made it much easier going. Secondly, there were no red pandas which made me incredible sad. But overall, a much better experience to the panda center. It’s worth effort to get there. The center is a rehabilitation center with the goal of placing some of these pandas back into the wild. The enclosures are very good and nice and open which makes it great for both photography and viewing. Originally, this was just a research center. However, when another nearby panda center was hit by a massive earthquake, most of the pandas were brought here. There is also a beautiful gorge that you can hike, and a zoo, that I would skip. From Chengdu, catch the bus from the tourist bus station, which is next to the Traffic Inn Hostel, to the town of Ya’an (50 Yuan). The ride to Ya’an is about 2 hours. Once you arrive at the bus station in Ya’an, you’ll need to catch a minibus from the parking lot in front of the bus station. The trip to the sanctuary gates from there cost 5 Yuan each. Once you’re at the park, you’ll see the zoo to the left side of a big building. 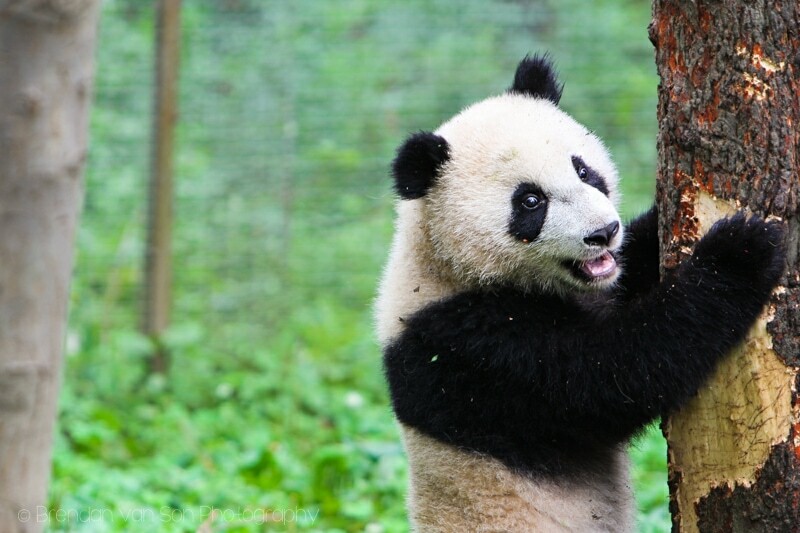 Skip the zoo, head into the big building and get your tickets for the panda sanctuary. If you want to just see the pandas, catch the bus that’s included in the price of the ticket to get to the pandas. If you want to do a morning hike, you can catch the elevator down to the bottom of the gorge and then hike (1 or 2 hours depending on the direction you go), to get to the pandas. Note that you should buy your return ticket to Chengdu as soon as you arrive in Ya’an as the seats for the last bus (6:30pm) often sells out. 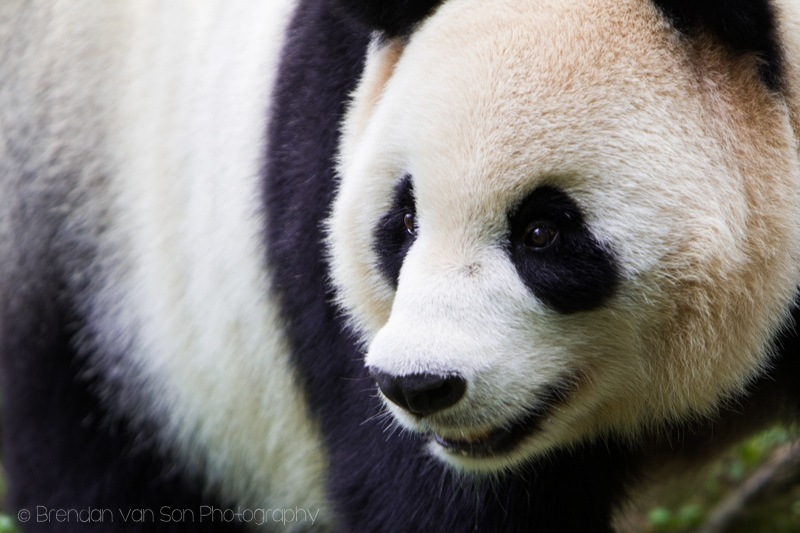 The Panda Center opens at 8:30-11:30 and 1:30-4:30. Note that center is closed for lunch, but you can still hang out there. The pandas, however, do nothing but sleep over the lunch hours. 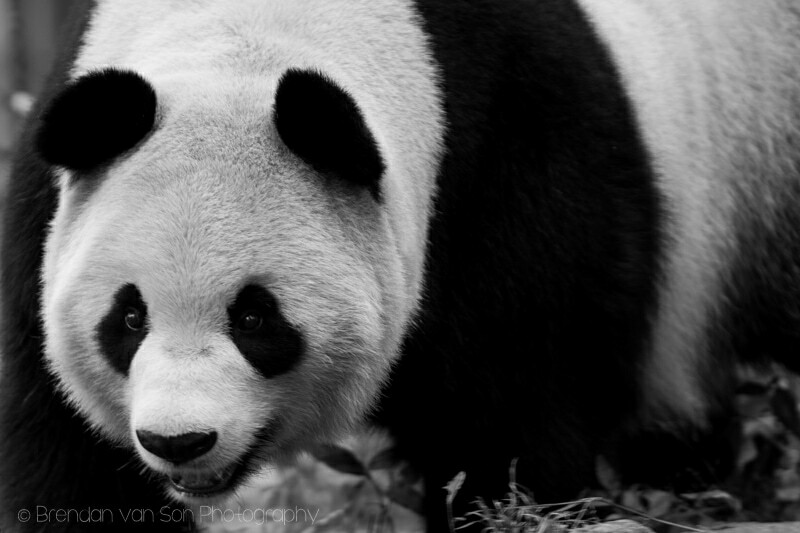 The best time to see the pandas is early in the morning. 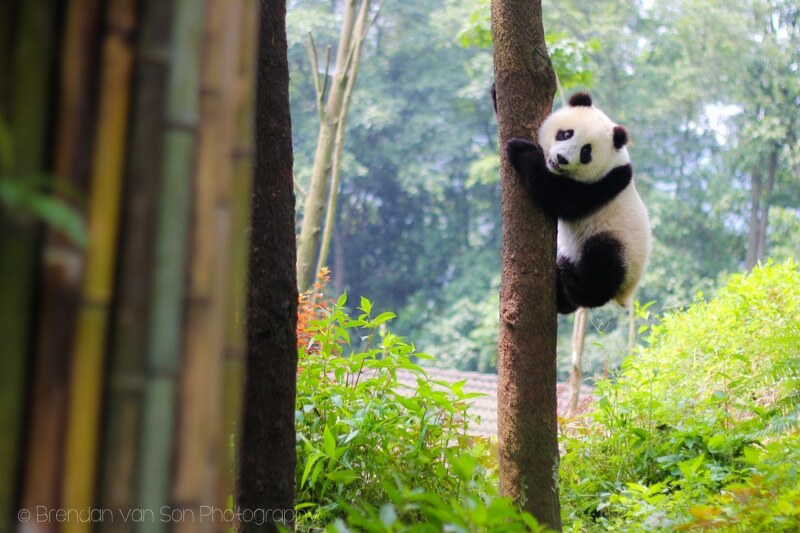 Though we just did a day trip, it’s possible to stay not only in Ya’an but up near the Panda Base as well. As soon as you get out of the mini-bus at Bifengxia you’ll have people trying to sell you accommodation. I think if we had another day, we would have done two days. One day to see the pandas, and one day to hike the gorge. 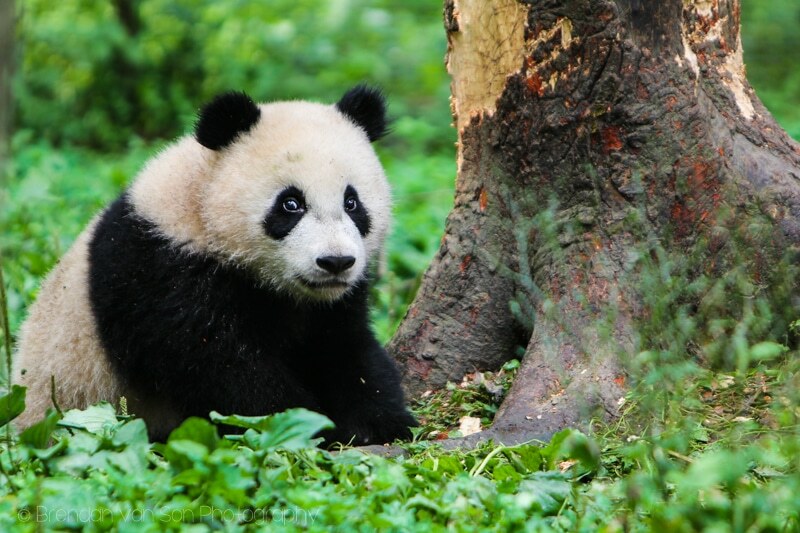 A day trip is possible, but you’ll have to leave Chengdu early. Anyways, I’m off to the North-West of China now. There’s are some really cool places coming up over the next couple weeks, so stay tuned! 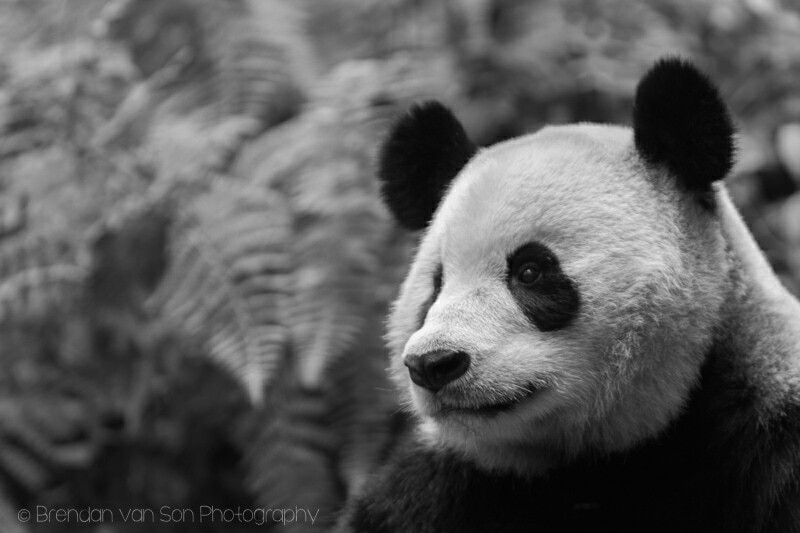 It’s true, cute panda pictures never gets tiresome. Those cute, evil, bastards making me go “awwww” everytime I see one. Why evil? Is there a story here, James? Did a panda once steal your girl? awww they are soooo adorable! 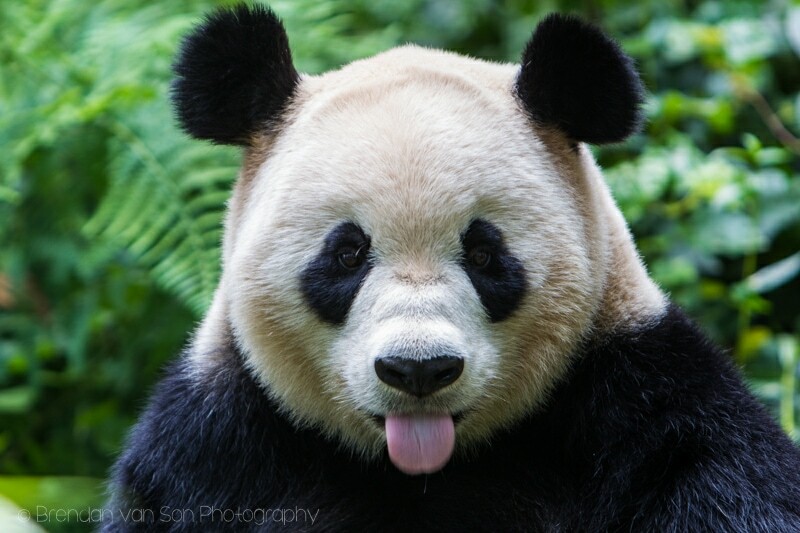 That panda looks so…. dare I say it…. CUTE! I’ve never seen one in real life before. You can dare stay it, Zaid. 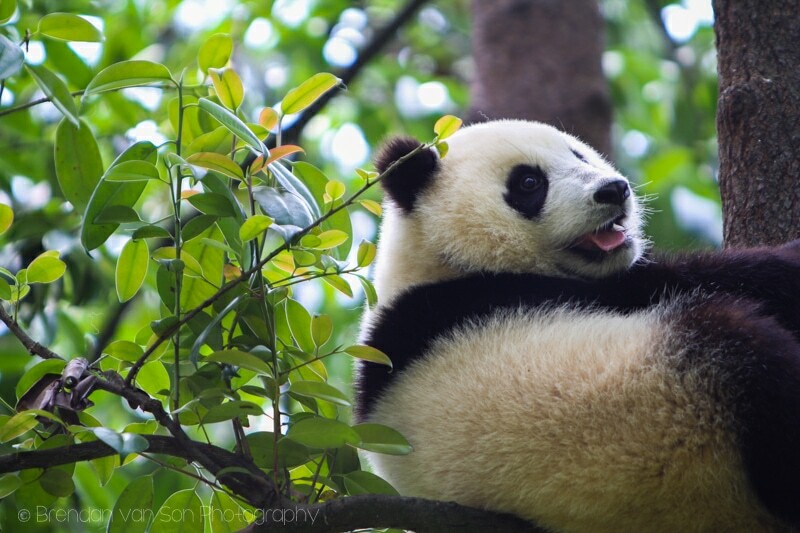 The pandas are… cute. haha. Judging from the pictures, they are probably not stressed even with the enclosures and the gorge looks great.